And the curtain goes up today! More to come later tonight! 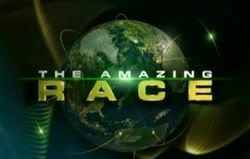 OK TAR fans, let's play the latest game show. "Where's Peach"
You too can follow along as the adventurous Peach (and trusted sidekick Harley) go on their own TAR12 challenge in NYC. Follow along on Google Earth (see attached .KMZ file below). Don't forget to select "3D buildings" in GE to get the full experience. Who may be eliminated next? i'd be so jealous if i didn't her so much. I don't know who put the label TARCON on those pictures, but TACON XII doesn't start for another hour yet. Those are the ****** Lunch pictures taken at PUGLIA's. If I were you I'd find out ASAP apskips !!!!!! then I would set them straight and correct them as well humiliate & embarrass them in public !!!!! Okay I'm sick of waiting .. time to hunt! So you did see the nudes afterall Michael ! Well I can't stay up much longer, can you hear us peach!? And we are leaving for TES--(this is where you'll see Peach Popsicle!!) so tune in!! But the upload is slow so it will be later on prob this evening. And all the racers were delightful! And Phil said thanks for the campaign! Great photos! Rachel looks gorgeous, and TK is looking great. I like the hair. wow, they look awesome. ok, now i am jealous. I had the chance to meet Jennifer of Shana & Jennifer (Chateau was trying to get Jennifer to sit on his lap to complete the trifecta, but I think she refused) and she couldn't be nicer. We talked for 3 seconds at the lunch and when she entered Stitch's after the finale, she recognized me and we talked again. Very nice person and very genuine. Gotta say she's very lovely and I'm very happy to have had the opportunity to meet her. It was great to meet Peach, Harley and Chateau. I'll be going to future TARCons as long as CBS carries the show. I have the link, but you know why it won't work? Because I titled it with a banned word that now comes up as asterisks here. The link won't work Ken because of the title of your album, maybe you can tiny url it for us, please ?